To fully interpret what the exposure meter on your Nikon D7000 tells you, you need to know which metering mode is active. 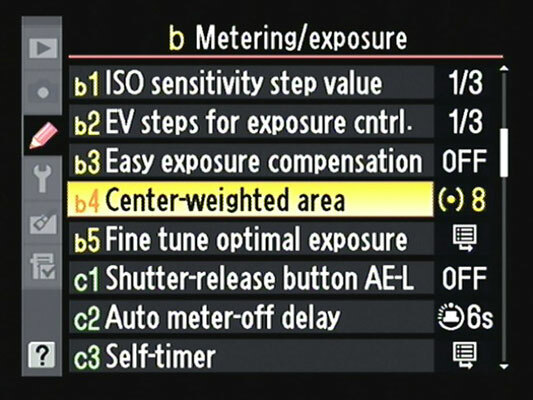 The metering mode determines which part of the frame the camera analyzes to calculate the proper exposure. The metering mode affects more than the meter, however: It also determines the exposure settings that the camera selects for you when you shoot in the P, S, and A exposure modes as well as in the fully automatic exposure modes. In the P, S, A, and M modes, you can adjust the metering mode by pressing the Metering button while rotating the Main command dial. An icon representing the current metering mode appears in the Information display and Control panel. Matrix: The camera bases exposure on the entire frame. This setting is always used when you shoot in Auto, Auto Flash Off, or any of the Scene exposure modes. Spot: In this mode, the camera bases exposure on a single, circular area about 3.5mm in diameter. Exactly which part of the frame that circle covers depends on focus settings. Center-weighted: A blend of matrix and spot metering, this mode bases exposure on the entire frame but puts extra emphasis, or weight, on the center of the frame. The Center-Weighted Area option also offers an Avg setting, which tells the camera to take a reading of the entire frame and then base exposure on the average brightness values it sees. The difference between this option and the Matrix setting is that Matrix is based on a newer, more capable technology, whereas Avg is based on a system used in earlier Nikon cameras. Longtime Nikon shooters who are familiar with this metering option may appreciate its inclusion on the D7000, but the matrix system typically delivers a better exposure if you’re concerned about objects throughout the frame.